The Sustainable Business Coalition of Tampa Bay and the University of Tampa celebrated 7 winners of the 2014 Sustainable Business Awards. I had signed up to clap for them on June 13, 2014. 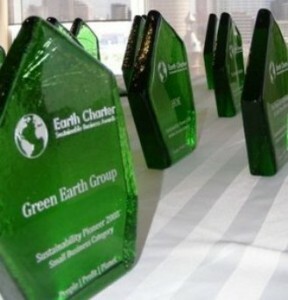 The Sustainable Business Coalition celebrated 7 winners in 2014. Alas, the Universe had other plans. I drove into one of those pounding, wind-driven thunderstorms that Tampa is famous for. I realized I was lost too. Rather than continue wandering in the downpour, I drove back to work. Advanced Healthcare Partners. This is a health management and consulting company. I don’t have more information as of this writing, but am curious to know more. 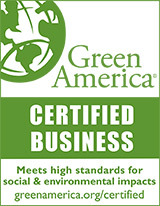 Landmarc Contracting -This construction and renovation firm is a certified Lead-Safe business. What’s that mean? According to the EPA, “Home repairs that create even a small amount of lead dust are enough to poison your child and put your family at risk. If you live in a home or apartment that was built before 1978 and are planning a renovation or repair project, make sure you renovate right with a Lead-Safe Certified contractor.” Like Landmarc. Had I been able to attend, I would have said, “Congratulations” and “Thank You” and “Please keep up the good work” to each of the winners. So I’ll say it here. And kudos to the Sustainable Business Coalition of Tampa and the University of Tampa for hosting this event. Until next year!